Mika in Montreal or Quebec City? Inform me about the next events for Mika. Enroll yourself to our priority waiting list for Mika to be alerted when new tickets are available. Filling this form doesn't engage you to any purchase. Mika, pop singer of Lebanese descent, will be back in Montreal performing at the Wilfrid-Pelletier Hall of La Place des Arts, on July 4th, 2015. It will be part of the Montreal Jazz Festival. The last time Mika performed in Montreal was last February, accompanied by the Orchestre Symphonique de Montréal, at Maison Symphonique. 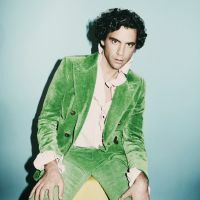 Mika released a new album since, and will be performing his new songs, as well as old hits.